One of the biggest obstacles to getting in shape is the struggle to get out of bed and walk out the door. Leslie Nava, who teaches strength and conditioning at her husband’s Brazilian jiu-jitsu (BJJ) academy, knows that struggle better than most: she has Neurofibromatosis Type ii (NF2), a disease which causes benign tumors that can lead to hearing loss, paralysis, and even death. 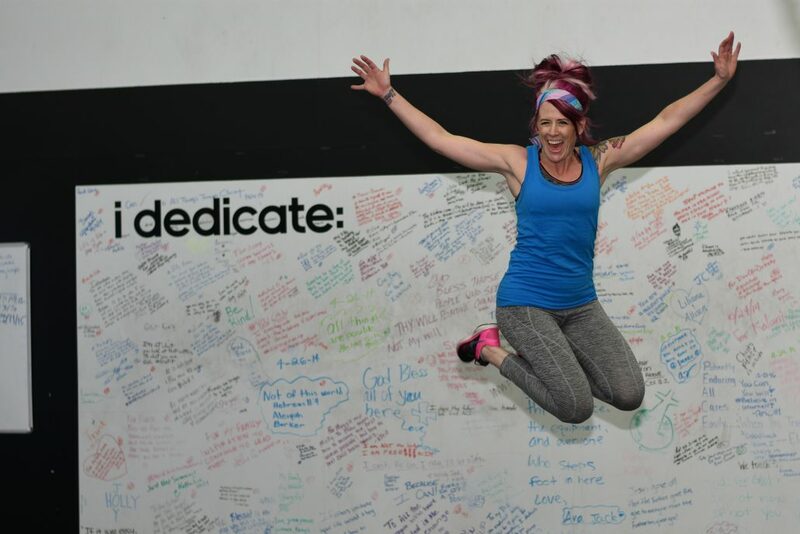 Her brother died from it, and her mother and sister have both lost their hearing from it, but the people who really motivates her to come into the gym every day are her children. They also have NF2, and it is for their sake that she aims to be an inspiration on never letting her body get the best of her. Even without depression, working out is challenging for Leslie. She had two brain tumors removed when she was 18, and then again at 24. These surgeries left her with a balance deficit, making Leslie struggle initially with lunges, step-back lunge hops, or plyometrics. Eventually, though, she worked past it. “You can reteach balance to your body even though those balance nerves won’t reconnect. I’ve re-taught my body how to accommodate to make up for the lack of balance.” Most people these days can’t tell Leslie has any balance issues at all. Eventually, Leslie’s practice had improved so much that her husband called upon her to take over the classes she’d been attending when the current instructor left. It was a major hallmark of Leslie’s life. “At that point, I was at a better place mentally and emotionally, and I decided I needed to make some changes in my life. Mostly at the time, it was for my kids and my husband, but eventually, it caught up to being for me, too.” She decided that to teach her children how to get through life with a disease like NF2, she would have to lead the way. Since then, Leslie had gone on to permanently teach high-intensity interval training. A conditioning training used by athletes that uses body weight to train strength, it’s an efficient workout for people looking to maximize their training in a short amount of time. In Leslie’s classes, she focuses on explosive, multi-coordinated movements which will help people switch positions quickly. Anyone can do it, though, as long as their doctor says it’s okay. “It’s more a mental challenge than a physical one,” Leslie says. That makes Leslie’s class popular with gym members who are rehabbing from surgeries or have other health issues. She’s taught people who have had everything from knee surgery to cancer. “My goal is to really try and support people where they’re at and help them still feel active. It doesn’t have to be the same as the person next to them. They can work within their parameters, work where they’re comfortable, and as they build up their foundation, they can kick it up a notch,” she explains. In the process, they learn their bodies and understand to listen more closely to their bodies. In other words, Leslie is a role model to her students. That’s doubly true for her son, who comes with her to almost every class. Because he had a tumor on his spine removed, he suffers from drop foot and nerve damage in his leg, so he doesn’t have the ability to do some of the plyometrics. He does a lot of walking with weights, instead. Leslie’s daughter comes with her to class almost every day as well. “It’s a very comforting feeling to have them there with me every day,” Leslie says. This, she says, was her goal: not just to change her own life, but to inspire others.